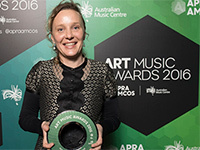 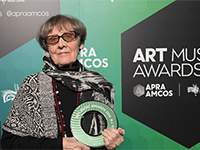 Winners of the 2016 Art Music Awards across 11 national categories and 8 state / territory categories were announced on Tuesday 16 August at a gala event at the Plaza Ballroom in Melbourne. 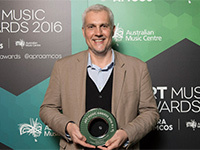 This was the second time the Art Music Awards have been held in Melbourne, and the year's list of winners featured a diverse group of Australia's established as well as emerging artists. 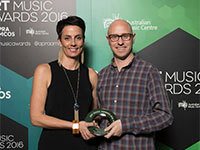 Pictured (from top): Paul Grabowsky; Kate Neal; Andrew Schultz; Claire Edwardes and Damien Ricketson (for Ensemble Offspring); Helen Gifford.